Dan Mulhall, Nigel Dodds, distinguished guests; ladies and gentlemen I would like to extend a warm welcome to our Annual Chairman’s dinner. This evening is my opportunity to reflect on what has been an amazing year and to thank all of you who have financially supported the work of Co-operation Ireland and without whom so much of the progress made could not be achieved. By your support, you are literally changing lives and the landscape of Northern Ireland and indeed Ireland. Forgive me if I may first of all extend my own appreciation to my Chief Executive, Peter Sheridan for all his dedication and commitment to the work of Co-operation Ireland and especially for his leadership of our excellent and committed staff. 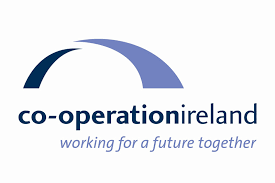 It is also appropriate to recognise the support and strategic advice provided to the organisation and me by the Board of Co-operation Ireland. A very big thank you to all board members. 2016 has been a remarkable year for both the United Kingdom and Ireland. It’s been a year of reflection- a year of commemoration, a year of change and a year of challenge. Two years ago I gave a speech in Dublin and I emphasised the need to approach the anniversaries forthcoming in 2016 with sensitivity and thoughtfulness out of fear of reigniting old wounds, scratching at barely healed scars or reliving old enmities. 2016 was a year loaded with political and historical significance for the peoples of Northern Ireland, Ireland and Great Britain. Frankly walking through a minefield would be a good analogy. The skills of diplomacy were fully stretched on both the Irish and British administrations in their preparations for 2016 and in particular the Easter Rising and the centenary of the Battle of the Somme with its tragic consequences for the men of the 36th Ulster and 16th Irish Divisions. The game changer in creating the atmosphere around those centenaries was very much set by Her Majesty The Queen and former Irish President Mary McAleese and current President Michael D Higgins. Their leadership, their statecraft, their personal commitment and their words soothed and prepared the pathway for the handling of those key milestone events. It has been very clear that the leadership provided by our respective Heads of State has been nothing short of remarkable. They understand the laborious nature of peace building brick by brick, set piece by set piece carefully ensuring that nothing is undermined by a thoughtless act or a careless word. Her Majesty The Queen’ s remarks that “with the benefit of hindsight we can all see things that could have been done differently or not done at all’ resonated right across the political spectrum, unionist, nationalist, republican, loyalist, Irish or British all understood the core of her message of reconciliation. President Higgins picked up on that same theme when he spoke at the State Banquet at Windsor Castle saying, “let’s be determined not to allow the shadow of the past to become the shelter of the present”. That we came through 2016 with such success is in no small part due to the leadership provided by the Taoiseach, Enda Kenny, former Prime Minister David Cameron, Former First Minister Peter Robinson, the deputy First Minister Martin McGuiness and the leaders of all the political parties in government and opposition across these islands. I know that Peter’s successor – First Minister, Arlene Foster is also keen to provide positive leadership and only a few weeks ago stood side by side with the Taoiseach, Enda Kenny at the Cenotaph in Enniskillen on Remembrance Sunday. I would like to pay tribute to the work of former Secretary of State Theresa Villiers who was here last year and to her successor James Brokenshire for the enthusiasm with which he has taken up his new post. Dan, it would be very remiss of me to ignore your contribution, which like that of your predecessors has been all the hard work behind the scenes to deliver sensitive events with aplomb and diplomatic skill. Over the past decade during my tenure as Chairman of Co-operation Ireland, I have steadfastly remained committed to the long laborious road of peace building, using events and opportunities to weld and cement relationships between institutions and organisations, such as the City of London and Tourism Ireland, or religious groupings, grassroots communities, political parties, governments and just people. Whatever the problems or difficulties I am not the sort of man who looks at a glass half full- I am very much someone who sees opportunities whatever the circumstances. That has required both patience and tenacity. A particular seminal occasion of 2016 took place just a few weeks ago at my home –Crosby Hall – where with representation from right across the British and Irish political spectrum we gathered to mark Her Majesty, The Queen’s 90th birthday and her joint patronage of Co-operation Ireland at which she unveiled a portrait of herself commissioned by Co-operation Ireland. It was a moving and significant event, which only a few years ago would have been impossible to imagine. But we in Co-operation Ireland are very much about imagining the impossible and making it a reality. The Minister of State at the Foreign and Commonwealth Office wrote to me after attending the event and I will quote part of that letter; “It was an absolute triumph in every respect. Apart from the splendour of your home, Her Majesty was in cracking form. The whole set up and arrangements were immaculate, and its diplomatic value was inestimable”. Reflecting on those words, I began to think how it is nearly impossible to unshackle the ties which link the United Kingdom and Ireland especially when some five million people living in England are of Irish descent, when we have unique mutual rights recognised since the formation of the Irish state and when we have strong family and sporting ties. We share a language and nearly every Irish man-north or south supports a team in the Premier League and down the years those teams have been peppered with Irish legends in the world of British soccer- Danny Blanchflower, George Best, Pat Jennings, Liam Brady, Shay Given and Robbie Keane to name a few. Amongst the greatest contributors to the written language we share are the literary greats of Jonathan Swift, Oliver Goldsmith, Oscar Wilde, GB Shaw, WB Yeats and of course the late Seamus Heaney. I am not naive and I know that the road ahead will not be easy. Brexit changes everything and certainly will strain relationships at a political level not just between the United Kingdom and Ireland but also within Northern Ireland. But I am heartened by the Prime Minister’s personal commitment to ensure that those things, which bind us, are far stronger than those, which will divide us. In short the strength of the relationships bode well for the future. As for Co-operation Ireland, I have offered our support to help strengthen Anglo-Irish relationships at whatever level is required, and also to support the Northern Ireland Executive at all levels. The other great challenge, which lies ahead, is that of legacy. Victims and their families still search for resolution and closure to the past. We, in Co-operation Ireland would never wish to be prescriptive, as we know there is no silver bullet or magic dust that will satisfy everyone on this issue. However we are confident that with goodwill and common sense – a solution can be found- bespoke for Northern Ireland that will satisfy the demands for truth and justice with the need for reconciliation and peace of mind. Just a week ago I was in Belfast for our Pride of Place awards with over one thousand guests from across the island of Ireland. This is really one of the highlights of Co-operation Ireland’s grassroots projects, which brings people from all walks of life and from all parts of Ireland together. The sense of occasion was heightened with the news that Ireland- captained by that indefatigable Ulster man, Rory Best had led the Irish rugby team to victory over Australia. In the days ahead we will need that never give up spirit of Rory and his team mates- we need to set the bar higher – in order for us to go one better. I believe we can do it. As I said when quoting Seamus Heaney earlier. If there are the words there will be a way. As a return match for Ireland bringing their state coach and mace to London for last year’s Lord Mayor’s Show, we have some exciting news for 2017 as in the spring, the Lord Mayor of the City of London will visit Dublin for the first time as part of his world tour bringing with him the city’s Mace. As someone involved in diplomacy it is very warming indeed to see the continuity of such reciprocal exchanges which bring with them much stronger business and cultural ties. It is my hope also that the Lord Mayor will visit Belfast as that city has an important role to play as a financial centre. We will also be looking at innovative ways of enhancing Anglo-Irish ties around St Patrick’s Day which would be meaningful and wholly inclusive. We will also seek to develop new relationships with the incoming American administration in 2017. Our work, a bit like the painting of the Forth Road Bridge is never ending. I would like to thank specifically tonight Roland Fasel and John Scanlon from The Dorchester Hotel for the generosity in providing tonight’s dinner at a much reduced cost. I would like to thank Invest Northern Ireland for their sponsorship. I would like to thank John Kennedy, Terence Donnelly and all Co-operation Ireland’s ambassadors and long term supporters for the steadfastness of their support year in year out. Lastly, I would like to thank John Griffin who has been especially generous to Co-operation Ireland and it is much appreciated. After dinner, Nigel Dodds, The Leader of the Westminster Group for the DUP and Dan Mulhall, The Irish Ambassador will speak – we will then have a bit of time for Q&A – so be thinking about any questions you may like to ask. Finally ladies and gentlemen, last week in Belfast, I noticed the wonderful new square dedicated to the author of Narnia – C.S. Lewis and I reminded the audience that C.S. Lewis once said that sometimes we don’t notice incremental change but when we look back we see that everything is different and so it is with the work of Co-operation Ireland.